Elephant Games proudly presents the next cheerful adventure in their beloved Christmas Stories series! You’re enjoying your Christmas when the White Rabbit from Wonderland comes to you for help! The Christmas spirit is vanishing all over the world, but why? Come along for a fun adventure and return joy to the world by restoring harmony to the characters of Wonderland! 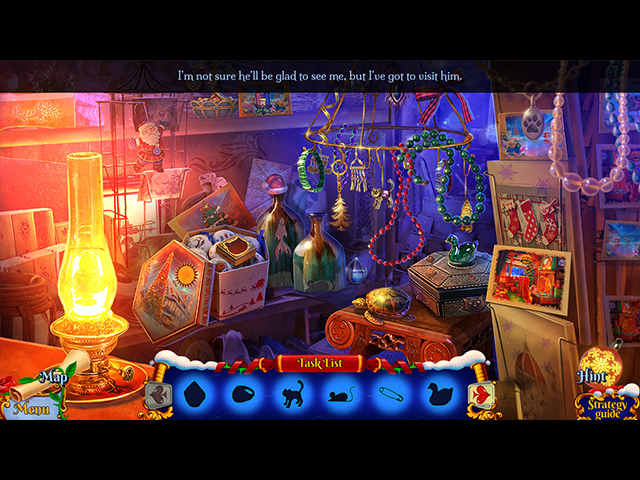 Meet familiar characters in new places in this enchanting hidden-object puzzle adventure game! 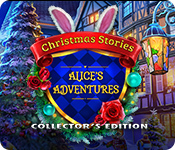 Christmas Stories: Alice's Adventures Collector's Edition is rated 3.3 out of 5 by 53. Rated 5 out of 5 by SouthernGal820 from Love the beautiful graphics! I enjoyed this game quite a bit. 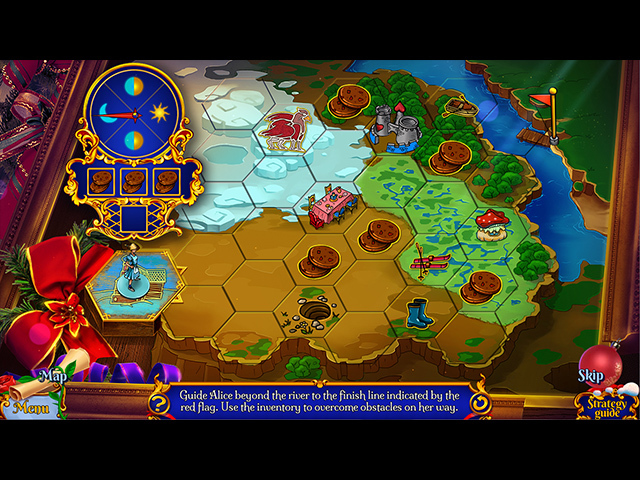 The beautiful colorful graphics were wonderful, the storyline fun and the mini games fun. I played the game in Custom mode with as little help as possible and it was still a little on the easy side but fun and relaxing. There was a mini game I had to skip because I absolutely did not understand what to do with it and how to get it to work, it was the two bakers and kids at the top and you moved the rings to the cakes / cupcakes and when you got the right sequence the bakers moved closer to the ovens. I even looked at the SG and still could not get it to work. Overall this was an excellent, fun and beautiful game to play. Rated 5 out of 5 by cuddlebug0 from Wonderful! I cannot say enough about this charming game! 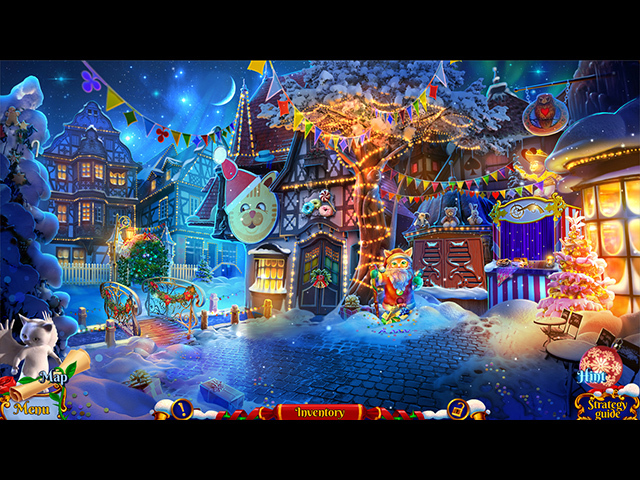 It is not overwhelming with hard puzzles and the like, it is geared toward Christmas adventure instead. I love the storyline, the characters are beautifully represented, the colors gorgeous, the music appropriate and lovely, and the pictures clear. I would recommend this to anyone looking for a break from dreary games. Well worth every penny. Thanks Big Fish for this lovely addition to my Christmas inventory of games. Rated 5 out of 5 by GoFishForFun from Delightfully Fun! Storylines, Artwork, Characters all added to this festive game! Love a game that can bring laughter and smiles. Nice to have a change up from the usual serious storyline! Thank-you Elephant Games and Big Fish for this One! Rated 5 out of 5 by dollyflower from Christmas Delight! Visually beautiful and fun to play. I always eagerly await the years' offering of Christmas Stories game that comes out in the first week of December. I have purchased all of the games in the series and start replaying one in November. This game is a worthy addition to the series! Rated 5 out of 5 by kandikc from Comforting as a nice cup of tea I thought this game was a delightful addition to the "Christmas Stories." I kind of miss the 'real' Christmas music that has been in previous ones, but otherwise I really enjoyed it! So, that you know, I'm not a 'gamer' and I don't know how to speak 'gamer'. I thought the storyline was original. The HOPs and puzzles were fun and the graphics were beautiful.. Rated 5 out of 5 by aqrswitch from Best of the series I have all the Christmas Stories games and this is my favorite so far! Great story, good controls, lovely artistic vignettes - an overall Christmas feast! Rated 5 out of 5 by flutterbyz24 from Time for some Christmas fun! Hallelujah! A game without demons, spooks, evil entities, etc. I had begun to despair over the lack of games that were whimsical, colorful, and just plain fun. I don't care that the games thus far have been somewhat easy. I'm just enjoying the change of pace and lack of darkness that has invaded so many games recently. As I always say, try it for yourself. It may not be your cup of tea. Or, to your great surprise, you may actually enjoy it!